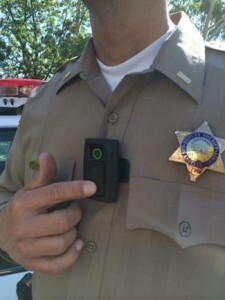 LOS ANGELES – The Los Angeles County Board of Supervisors voted Tuesday to hire a consultant to work out the details of outfitting deputies with body-worn cameras, with the sheriff’s department and a watchdog agency at odds about how much it will cost and how long it will take. “We are a little late to the party,” Supervisor Kathryn Barger said, echoing comments by Supervisors Mark Ridley-Thomas and Hilda Solis, who co- authored the unanimously approved motion and pointed out that two-thirds of law enforcement agencies nationwide deploy body cameras or are implementing plans to use them. 2 comments for "LA County takes next step toward deputy body-worn cameras"
The citizens that video what goes on, have exposed a lot.